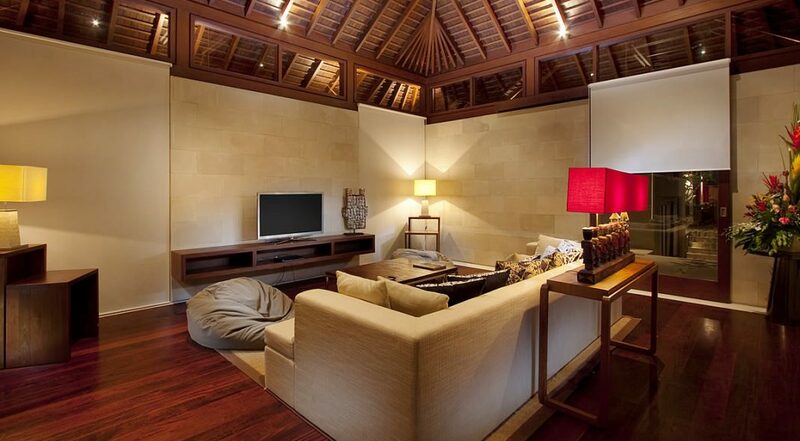 Gorgeous holiday Canggu villa - rent this now! 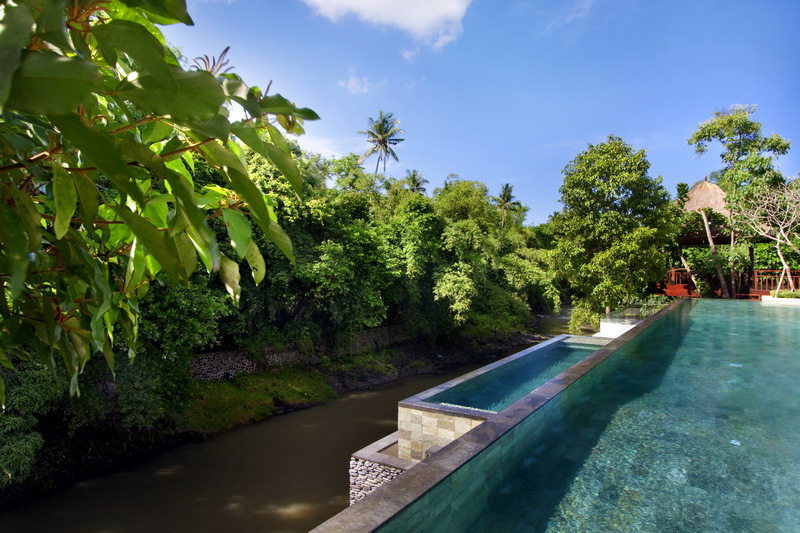 Villa Champuhan is a 4 bedroom Canggu holiday villa rental & offers guests a luxurious resort styled holiday villa right on the banks of the Yeh Penet River. 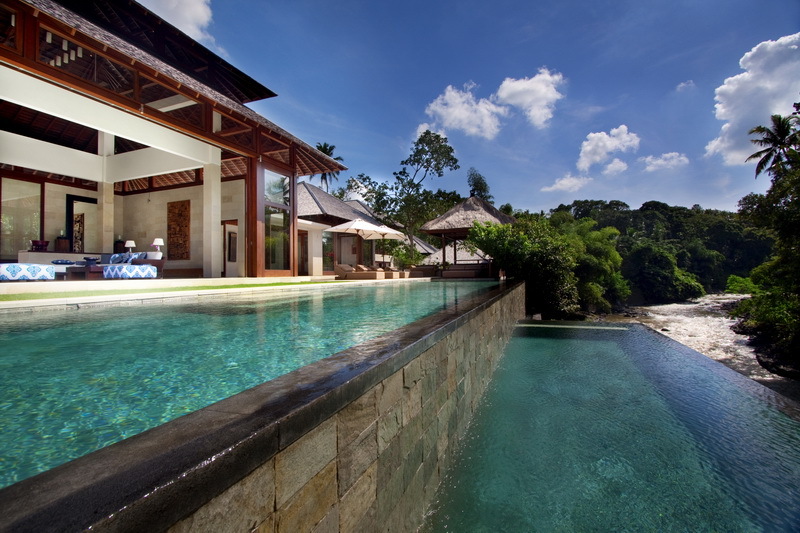 Designed by the renowned architect Glenn Parker, Villa Campuhan boasts a 70 meter river frontage, 4 exceptional en-suite bedrooms and a team of highly trained Balinese hospitality staff. 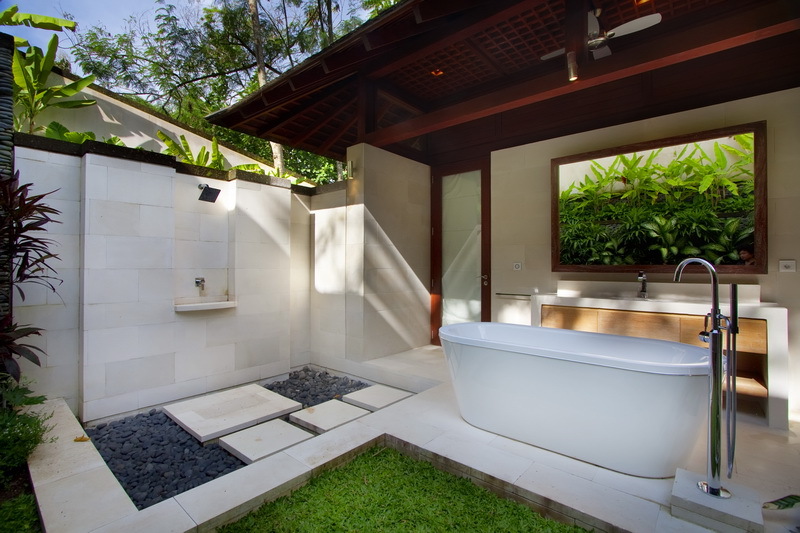 Guests will no doubt enjoy the tranquility and serenity of Villa Champuhan and enjoy a most rejuvenating Bali holiday with friends or family. 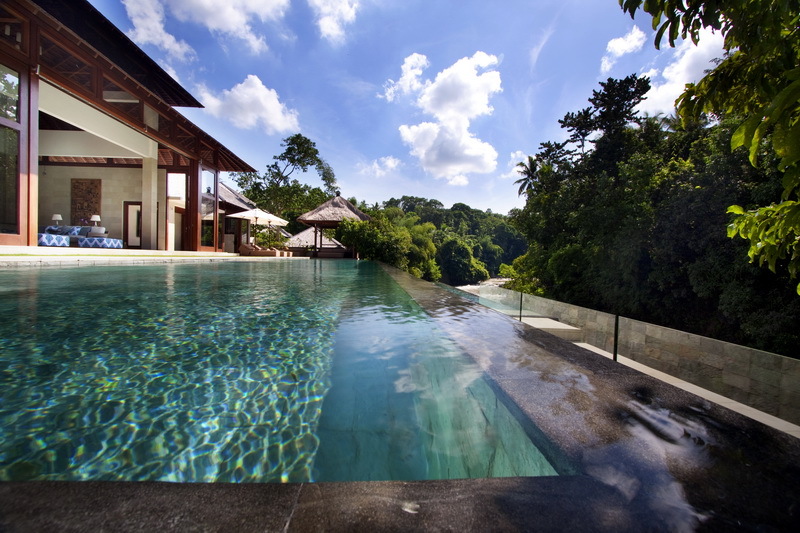 The double tiered infinity swimming pool has the most fantastic views of the meandering Yeh Penet River and tropical rain forest backdrop. Four stylish reclining daybeds are at the ready for you to soak up the sun, the pool side bale offers a shady spot to take a rest or just watch the kids having fun in the pool. 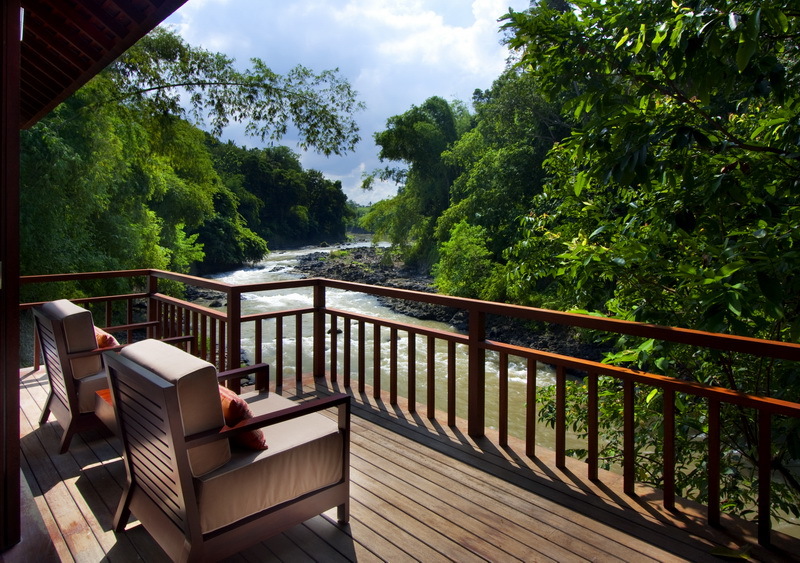 A separate gazebo with a comfortable lounge setting is elevated and sits high above the river offering splendid views. This really is a beautifully laid out setting where guests can find a comfortable spot while enjoying each other’s company throughout the day. 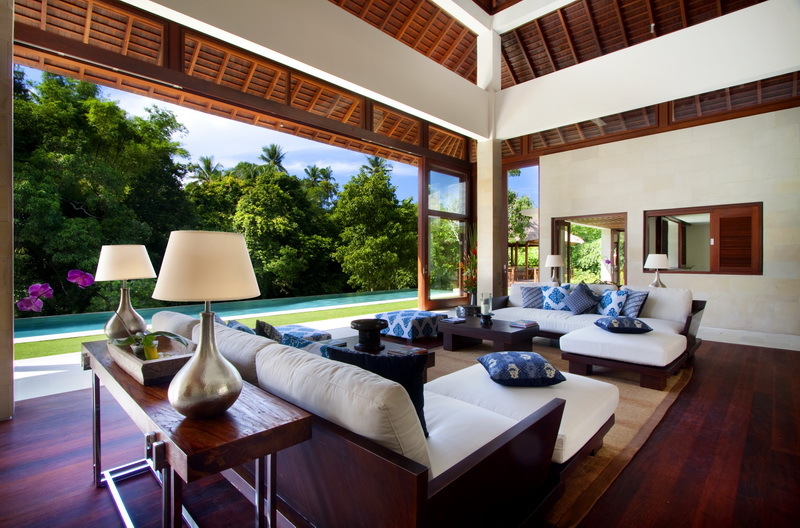 Right by the pool is an elegant lounge room where you can open the large doors and welcome in the gorgeous outdoor setting. 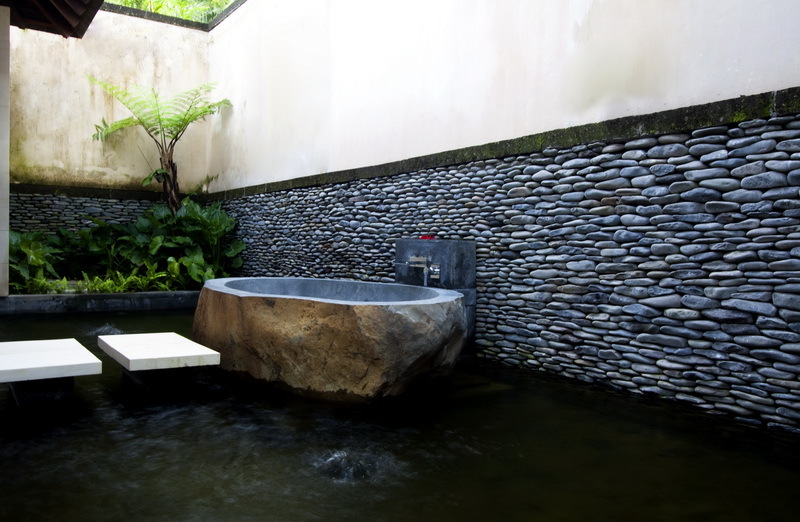 The use of palimanan stone surfaces, rich timber flooring, stylish lamps, a custom built lounge with thick cushions along with ottoman chairs is the perfect social hub out of the sun. A separate media room offers state-of-the-art entertainment enjoyment for guests, fully-air-conditioned you can enjoy a DVD or maybe some live sport on the international channels. A formal dining room seats caters for 8 guests and a library with an ultra inviting daybed is the perfect place for some peace and privacy. 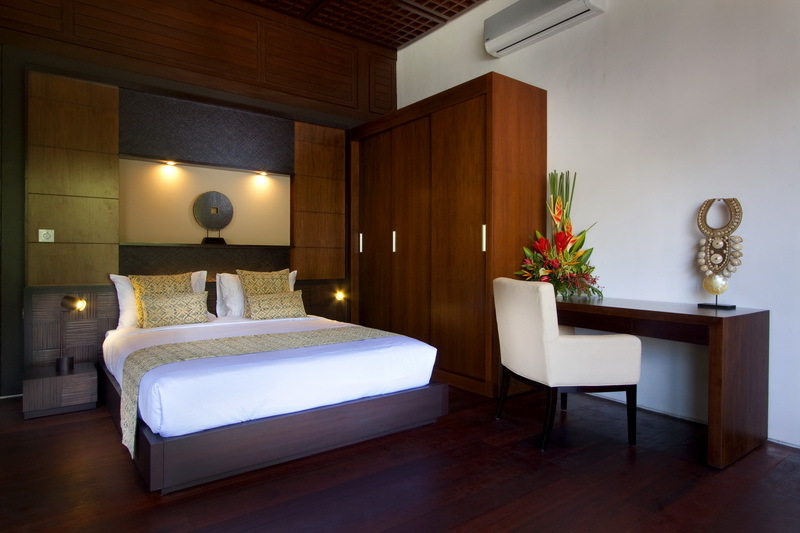 Four delightful en-suite bedrooms offer guests maximum comfort with superb décor and design features. 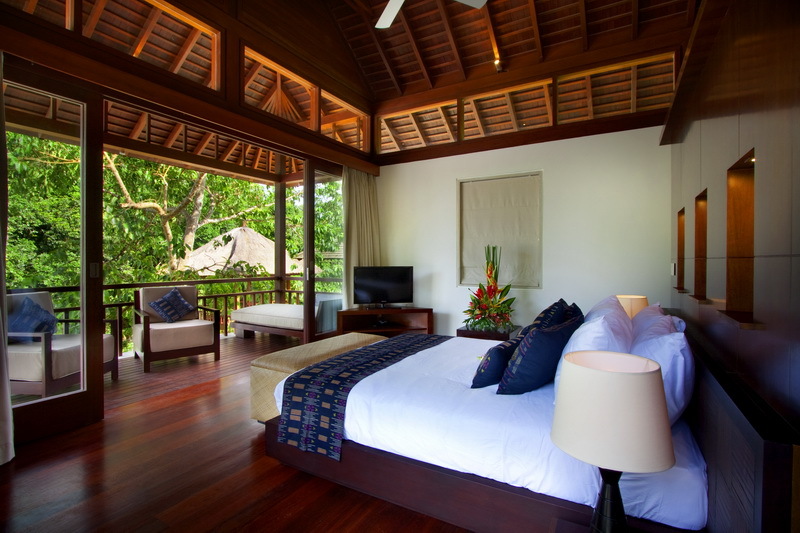 Consisting of two master suites on an upper split level of the villa, they provide guests with utmost privacy, intimate terraces with comfy daybeds and views of the gorgeous Yeh Penet River. 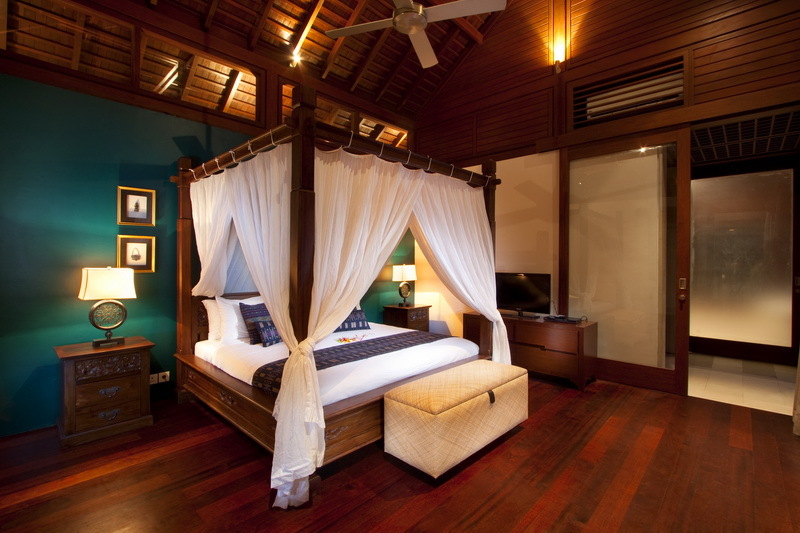 Large doors open to the idyllic outdoor setting, premium king size beds and lots of wardrobe space. 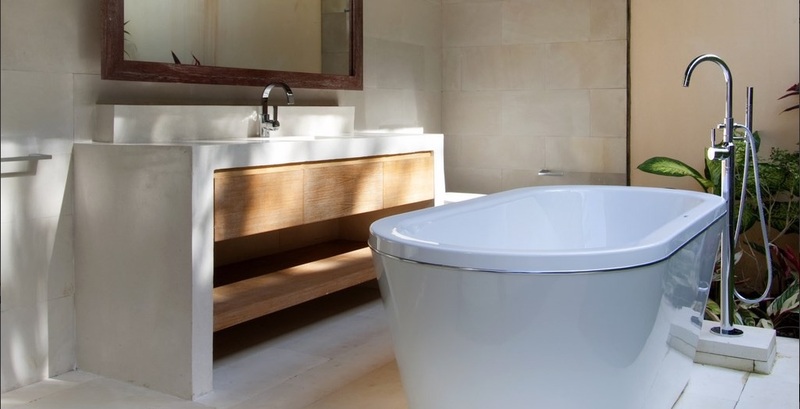 The en-suites feature soaking tubs and outdoor showers with gorgeous settings and views, the third room also features a king size bed while the fourth twin beds, easily converted to a double. 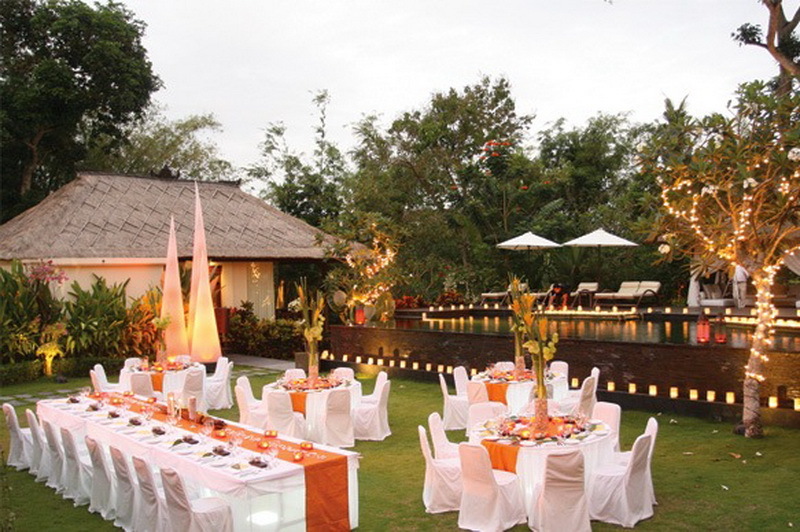 The in-house chefs are highly skilled and well versed in western and Asian cuisines. 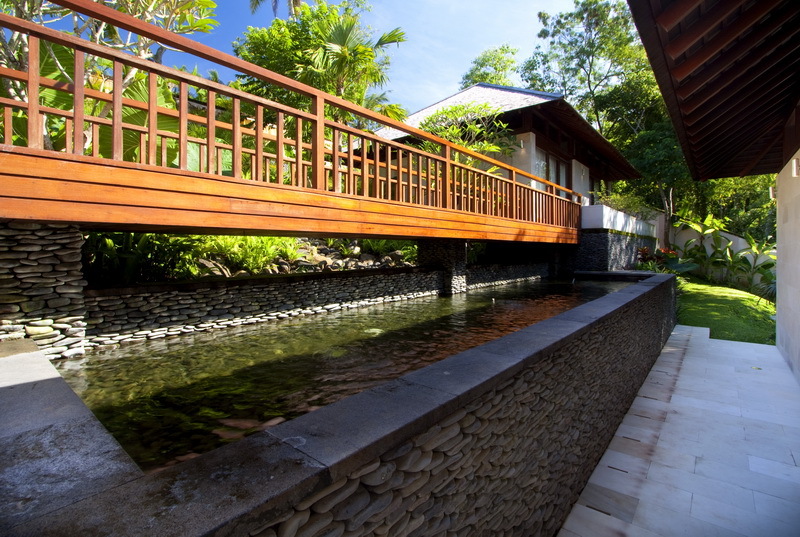 Expect nothing less than great service from the warm and welcoming Balinese staff, consisting of the villa manager, dedicated butlers, housekeepers and 24 hour security. 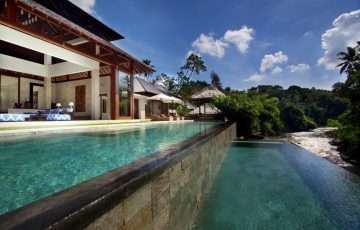 The villa is located quite close to the famous Tanah Lot Temple which sits on a rocky outcrop off the cliffs at the nearby beach, you can witness fantastic sunsets here. 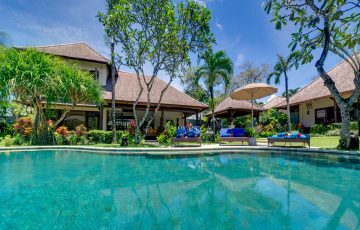 The villa is in a peaceful Balinese village where you can take long beach walks or rice fields and watch the locals go about their every day routines. 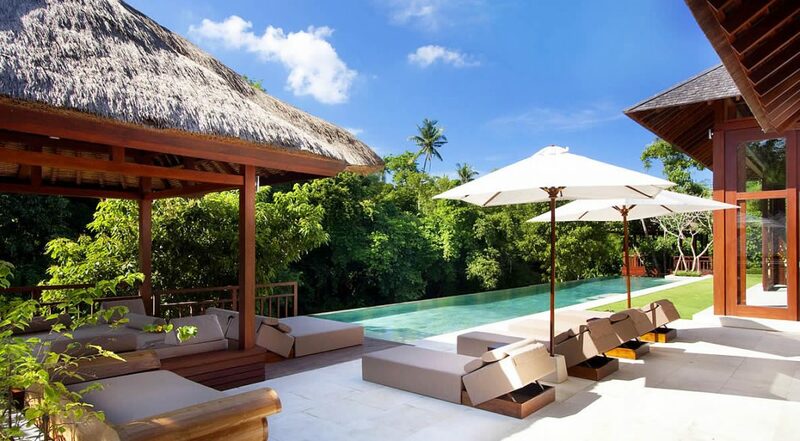 Echo Beach is only 10 minutes from the villa where you can enjoy an array of restaurants, cafes, boutiques, yoga studios, health food shops and spas that have made Canggu a very popular destination in recent times. 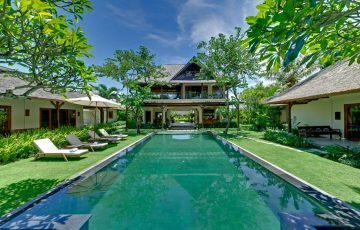 To view other Canggu villas or our full range of gorgeous Bali villas in a peaceful area, please browse this website or contact our reservation team. 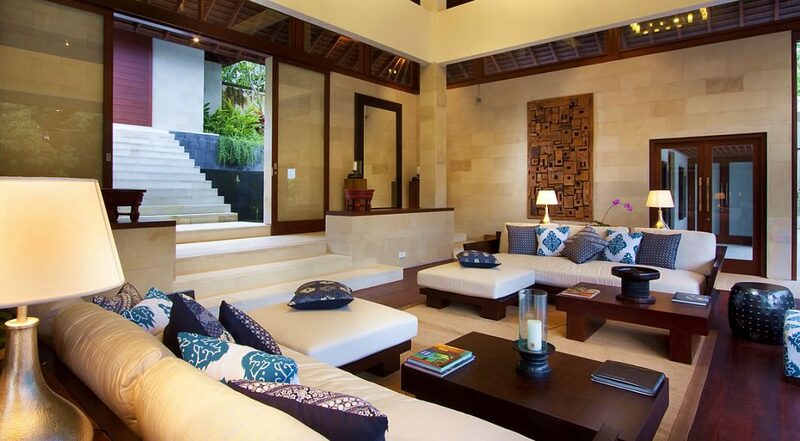 This is a popular Canggu holiday villa so please book Villa Champuhan well in advance, especially if your planning a trip to Bali during the Australian school or public holidays. Villa Champuhan has an excellent cook who can prepare an extensive range of Asian and Western meals in the ultra-modern, spacious kitchen. Guests are also free to use the kitchen at their own leisure. 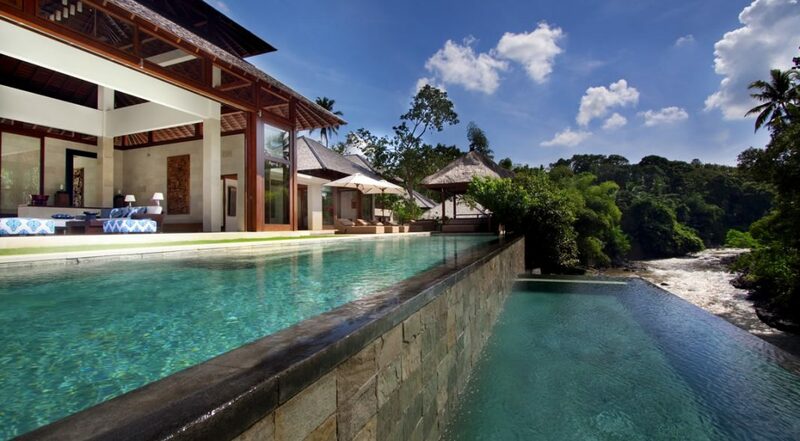 Villa Champuhan was exactly what we were looking for on out Bali holiday. 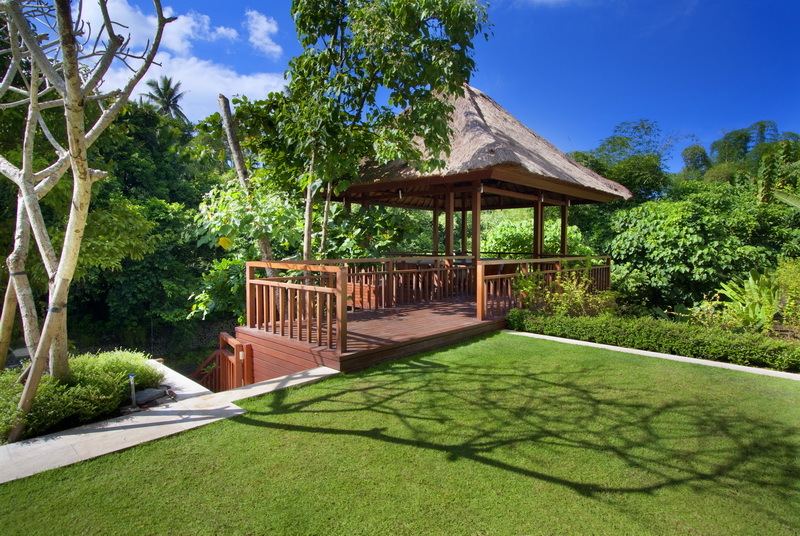 Peaceful, relaxing & really quiet yet close to Canggu. 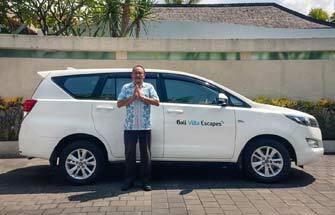 Loved the staff who were so friendly and the location of there villa made us feel as though all the worries of the world were far away. Highly recommended. 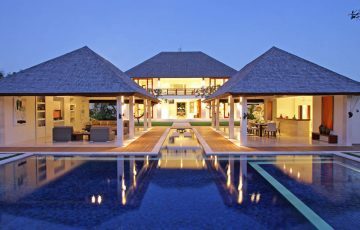 We spent 9 days here with our 3 small children and the experience we have at the villa will last a long time. Smiles all round from the 5 of us. 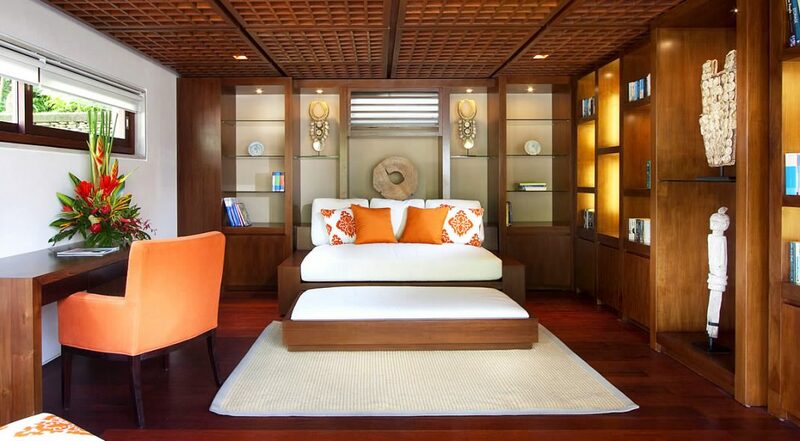 Rooms were comfortable and super luxe. A remarkable time made even better by the ever so warm and hospitable staff. 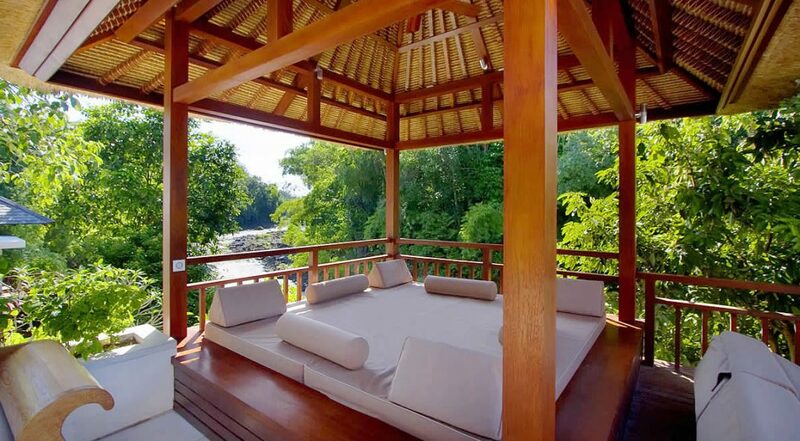 Next time your in Bali try staying here, it will be the best move you could make. For the price it's well worth it. First villa experience and lets say it won't be our last - why haven't we done this before? So much privacy and great customer service. 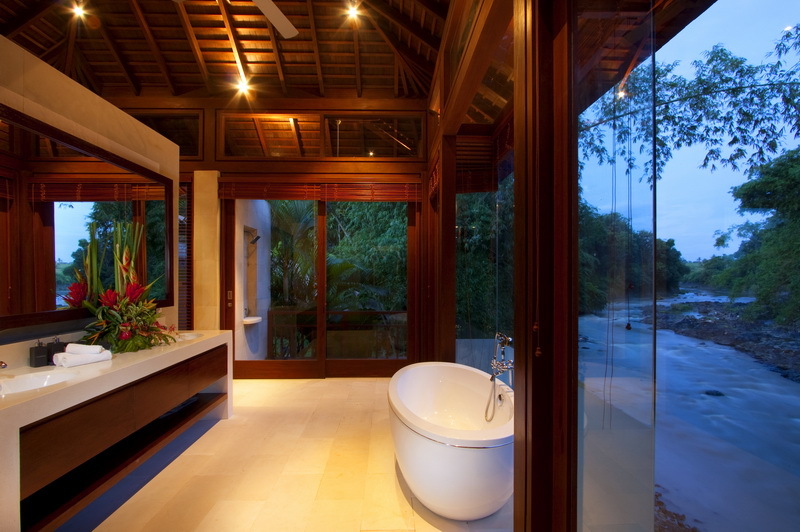 This is the best way to really chill out. Kids had a great time and were in and out of the pool the entire time. Can't wait to come back. A big highlight were the lovely breakfasts prepared for us everyday and the way the staff remembered exactly how we liked our eggs. A small point but it all added to a wonderful time. FABULOUS! 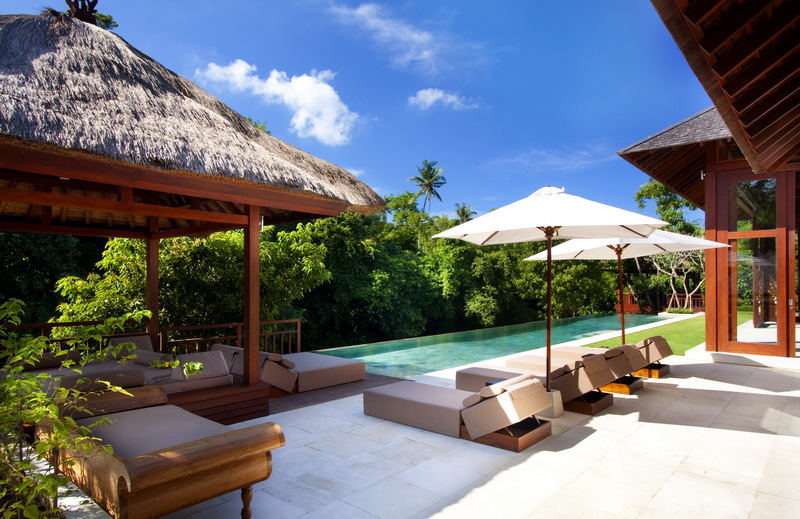 We absolutely loved Villa Champuhan. Can't wait to come back. 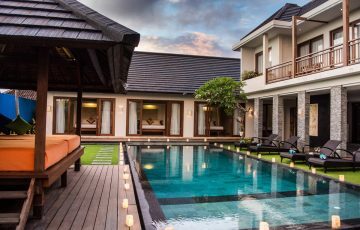 Canggu is such a great area to be in and we will always remember our stay at Villa Champuhan as being one of the best - an amazing villa! To everyone at Champuhan, thanks for the best holiday....we will be back next year!